I have tried for a long time in my genealogical research to find out who Karen Bratli was. It started when I was searching for people with the surname Bratli, which was my grandfather’s middle name. I found two ladies in Moss in the year 1900 called Karen and Alberta Bratli. The years of birth and first names were the same as the daughters of my great-great-grandfather in his second marriage. And their last name was the same as the name of the farm that the grandfather of Karen and Alberta had left in 1809. But how had these two Kristiania women ended up in Moss? And would it be possible to find more information about them? Susanne Bonge was a pioneer in the effort to systematize knowledge of Norwegian photographers. She was employed at the library at Bergen Museum, and has written a book about earlier Norwegian photographers (before 1920). The same information is now available on the Internet at Preus Museum, in a searchable database. The database lists more photographers than in Bonge’s book. The place and year of birth for Karen is lacking in the description above and it was not much information to start with. So I had to use all available sources. In my family no one has ever talked about either Karen or Alberta. But I have heard about their father Ingvald, and I have a picture of him. Karen Inga Hansen and Alberta are both born at the time their family lived in St. Halvards gate in Kristiania. Karen was born in 1859 and Alberta in 1862. Their father Ingvald Johan Hansen (born 1815) married for the second time in 1855 with Birgitte Jahnsen from Ladegaardsøen (Bygdøy). Birgitte was the niece of his first wife Karen Oline. Karen died of cholera in 1853. Together with his second wife Birgitte, he also had the children Ingvald Johan and Asta Sophie. Ingvald senior began his working life as a “customs oarsman” and ended as a customs officer. In his first marriage he had four daughters, the oldest Hulda Marie is my great-great-grandmother. Karen has her confirmation 16-years old, in the autumn of 1875, and received the grade 2 to 3, where 1 is the highest grade and 5 the poorest. Her results are therefore average. Her sister Alberta received the grade 3 when she had her confirmation on the 6th of October 1878. Their father Ingvald dies in 1888. Karen and Alberta were then 28 and 25 years old. In his probate, one can read that the father and family, under the circumstances at the time, were well off financially. They owned the house they lived in, though they had some debt. Compared to other people and for that time, they had a lot of furniture and other inventory. At this time there is no information in address books or in the municipal census of 1885, stating an occupation for the two sisters. In 1890 their mother and Karen’s last name are Hansen. 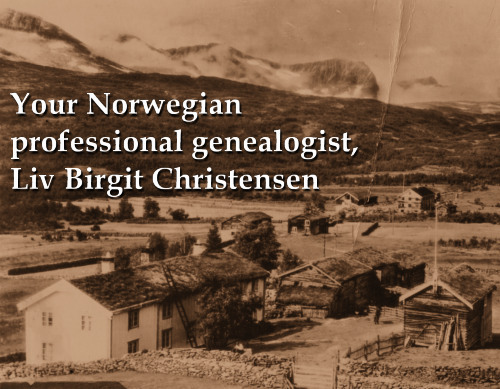 Her brother Ingvald and Asta’s last names are Bratli. And Alberta is no longer in the address book of Christiania. Maybe she has begun her photographic training in another city? But in that case, where? The most obvious assumption is that Karen and Alberta have learned the trade in different places, Alberta out of town and Karen in Christiania. In January 1890 there were a total of 25 photo-studios in Christiania. At least 5 of them were owned by women. The training of photographers, which was on-the-job-training, took one to two years. The photographer-profession was a profession suitable for women. The demand for startup capital was not large. Karen and Alberta had probably inherited some from their father, and together with their mother and sister, they needed an income. There is reason to believe that all four of them settled in Moss. Moss was perhaps chosen because they had family in Fredrikstad, or that the town had an association with their husband and father’s former customs work. Or perhaps it was where Alberta had been trained. Maybe their sister Asta also helped in the studio. She was in Moss in the summer of 1893 when her marriage was announced in the church. Their brother Ingvald left Norway in 1890 and ended in New Zealand, so there was probably no help from him. The first photographer business was possibly established in Moss in 1871. The shop was called Halfdan Lundes photographic atelier. Lunde had a background as a glazier and had worked as a photographer for many years in other parts of Norway. Early in the year 1890 he was the only photographer who had advertisements in Moss avis. The shop was on the corner of “Løkke- and Høienhalgaten.” Charlotte Abel starts her business in December that year and she announces, “in Mr. Photographer Lundes studio” and another place it says, “Charlotte Abel’s studio (H. Lunde’s previous, close to the railway station).” A photographer named I. Dahl had his studio in 1891 at the Market Square in Moss, but his commercials disappeared pretty quickly from the newspaper, so there is reason to believe that his stay was of a short duration. In the same month, there was held a private auction for “Mr. Photographer Lunde”. He wanted to sell household goods and personal property, “1 calling card press, 1 labelling machine, 1 stapling machine and approximately 1500 liters of good household vinegar” (vinegar was used in the production of paper copies of pictures.) His business was probably not doings so well, but he continued until 1893. Susanne Bonge believes that he moved from Moss in 1890, but her guess does not correspond with his advertisements in the local press. In the summer of 1893 Karen (and Alberta) bought Charlotte Abel’s glassplate-inventory, in other words, the origin of the printed images. In March of 1894 Lind & Co.s start their business by the railroad. In 1896, there is a new photographer A. Hansen, but he quickly disappears from the advertising columns. Camera with roll film was launched in 1888 by George Eastman, Kodak’s founder. In an ad in Moss avis in 1898, a new type of camera with roll film is announced. It is “Sæbbøs Boghandel” who starts to sell “Cameras kr. 22.00 … … everybody can easily learn to use this device”. This was different from the equipment that Karen and Alberta used. Their camera, if it resembled other cameras at this time, stood on a tripod that was more than 1.5 meters tall and the camera was bigger than a hatbox. It must have been physically tough to use the camera. The persons being taken picture of, were asked to pose in one way or another, the background and also chairs and tables were moved around to find the best layout in every setting. On the pictures made by “K. Bratli” the business name is printed in gold together with the address and town where they had their business. On some pictures it says Skien in addition to Moss. Skien is across the Oslofiord and 50 kilometers from Moss. At the beginning of the 1890’s there was a steamer “Bandak” sailing every Thursday and Sunday between Moss and Skien. So perhaps one of the sisters worked as a photographer in Skien, while the other one tended the business in Moss. An event that is consistent with this idea and the reason why they wanted to be in the city can be this: A photographer named Marie Roseland Looft, was accused of arson in 1898. Karen and Alberta ran their business at the same address as her, maybe while she defended herself against this serious accusation. The photographer community was small and many had run businesses in other places, so Norwegian photgraphers probably knew each other well. In 1902, Marie went bankrupt, so it is natural to believe that this court-case had a disastrous outcome for her. In the census in 1900, Karen and Alberta lived in Løkkegaten 20b. They both state that they are professional photographers. Gunda Moen from Ringerike is living with them and working as a maid. The next two years “K. Bratli ” have no ads in Moss avis. The studio is probably well established both as a business and photography as a trade. The only photographer who advertises in Moss Avis in 1901 is Axel Bülund, who has his premise by the Canal. Alberta spends the Christmas of 1905 with her sister Asta and her family, and their mother at Tyristrand. On the 25.th of January 1906 their mother Birgitte dies and Alberta dies on the 1.rst of February. The mother is buried from Oslo chapel on the same day as Alberta dies. Both had pneumonia. Alberta is buried in the same graveyard as her mother. Now Karen had to run the business on her own. Alberta had made a will and Karen is the sole beneficiary. In the parish register entry for the death, it says that Alberta lived in the Market square in Moss. The glass plates left after Bratli’s business are kept in the Østfold picture archive. They show that the two women had a good eye for composition, they were good at organizing large gatherings and it was as they said, “beautifully done”. Another explanation of why she left the trade, is that she marries. The man is foundry master Anton Johannesen from Moss, a widower with five grown children. The five were named Ragna Johanne, Anna, Olga Lovise, Gerda Amalie, Sigri and Sigurd Alfred. The first two were born in Oslo in the 1870s, the last three in Moss between 1880 and 1885. Anton was active in politics for the Conservatives in his spare time. In 1910, Karen lives together with Anton in Stengade 9. The illustrations for this article are images that Karen has taken and a picture of the photographer sisters that I have obtained from New Zealand. But neither in NZ or the family in Norway, is there anyone who has ever heard of the photographer business. Her husband Anton dies in 1935 and Karen in 1940. The death notice for Karen is only signed by her sister Asta. Why this meticulous about who ran the photography business where and when? In the dating of the images and the determination of who is in the picture, it is necessary to know when the photographer was in business and where it was located. Along with clothing and other items they can be the key to finding who the photograph is of. No photos of Karen or Alberta have been found in Norway. After much work and help on user forums, I found family trees online. By sending mail to the owners of these I have come in contact with descendants of Ingvald, Karen’s brother, and eventually to someone that had a picture collection. The illustration picture of the two sisters came from her. The sisters are young in this picture and it may have been taken before they started working as photographers.